Download a copy of our Zoo Map to review our park layout and plan your visit ahead of time. 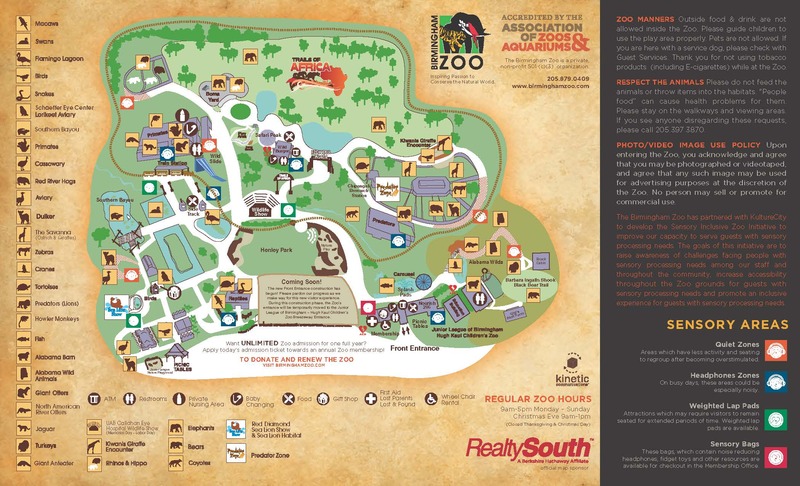 Special thanks to RealtySouth, the map sponsor of the Birmingham Zoo. Stroller/Wheelchair Rental & ATM – Available in the gift shop just inside the entrance. 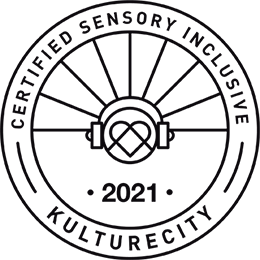 Handicapped Access – We recommend that visitors with physical challenges pick up an Accessibility Guide from Visitor Services on how best to enjoy a day at the Zoo. Lost Parents, First Aid, Lost and Found – Located at Visitor Services, next to the front entrance of the Gift Shop. Baby Changing Areas – Available in all restrooms. A private room for nursing mothers is available at the Primate building. Tickets and Wristbands – Train and carousel tickets and wristbands are sold at the front gate or ride locations. Check today’s schedule for operating hours. All riders must be dry.